Editor's note: People often ask why Tsar Nicholas II and his family were canonized by the Russian church. The controversy has grown especially loud in the past few months in Russia. Many people question the sainthood of Tsar in particular, because of their criticism of his political and personal actions. Recently Tsargrad.tv released a video explaining the canonization. This article is based on a translation of the arguments in the video. It also complements the video material with other sources. In the wake of the social upheaval caused by the soon-to-be-released Russian film called “Matilda”, the timeworn question has come to the surface yet again: Why did the Russian Church canonize Tsar Nicholas II as a saint? Some people are doubtful, saying: What kind of saint was he? He rejected the throne, destroyed the country, was a weak ruler, etc. Though many of these accusations are actually inaccurate stereotypes, whether they're true or not is irrelevant in this instance. Let’s review, once again, how Christians understand “sainthood” and why the Church made the decision to name Nicholas II a saint. A saint is NOT a person who never sinned. A saint is definitely not someone who never made mistakes. The Bible directly states that no man has ever lived, who has not sinned (Ecclesiastes 7:20: For there is not a just man upon earth, that doeth good, and sinneth not). A saint is someone who always strains towards God, becomes near to God, and, by the strength of God’s Grace, defeats evil in himself and in the surrounding world. The Russian Church has different categories for saints, that offer explanation what particular aspect of that person's life made them pleasing and similar to Christ. The Holy Martyrs are people who were faced with the choice between keeping their own lives and being faithful to Christ. They chose faith to Christ and lost their lives. The Confessors are people who openly preached the faith during persecutions. In the Russian Church, Nicholas II and his family were canonized (made saints) as Passion-bearers. A Passionbearer is someone who faced his death in a Christ-like manner. Passion-bearers die and suffer not for the explicit reason that they are Christians. They are people were killed innocently, with no fault, but yet maintained an attitude of Christian meekness and love towards their persecutors and murderers, thus fulfilling God’s commandment. An example of this love, of this meek approach to ones' torturers, was given to us by Christ Himself. Having been completely innocent on the Cross of Golgotha, Christ pronounced the words that totally changed the course history of humanity, offering a radically different approach to one's enemies. The soldiers that had just crucified Christ were standing around the cross. They didn't understand at all what had just happened, they didn't understand WHO was dying on the Cross. They sat around the scene of violence and suffering, and threw lots for would take which article of Christ's clothing home. Emperor Nicholas and his entire family meekly, patiently accepted their unfair persecution, the surrounding unjust criticism and hate, the harsh treatment they received, and their violent, brutal death. It’s well known that the Emperor was offered the chance to leave the country, to escape a horrifying end and save his own life and the life of other members of the family. But he consciously decided not to. He consciously remained in the country; he believed it was his duty. 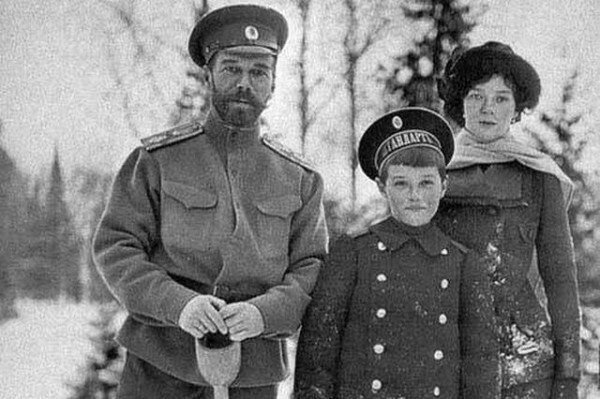 Nicholas II and his family have been named saints, because they accepted their sufferings and trials in a Christian manner; because they met death at the hands of those, who were moved by hatred and anger, with Christlike love and patience. 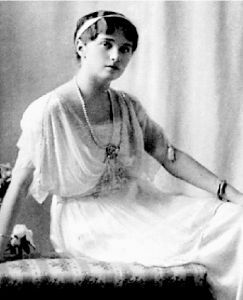 On the eve of the terrifying murder in Ipatyev house, Nicholas II's eldest daughter, the Grand Duchess Olga wrote. "Father asks the following message to be given to all those who have remained faithful to him, and to those on whom they may still have influence, that they should not attempt to take revenge for him, since he has forgiven everyone and prays for everyone. 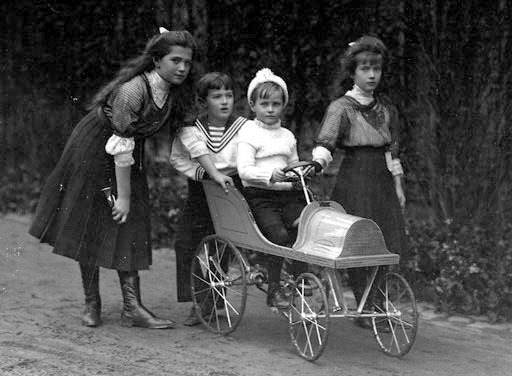 He wants them to remember that the evil which is now in the world will be become still stronger, but that evil will never conquer evil , but only Love..."
It was precisely for the reason of their unconquerable meekness, patience, and love, that the Tsar's family are saints. Not for their political actions, not how saintly or "right" their lives were, but for how they met their horrible end: with Christian love and faith. In Ekaterinburg they spent three hellish months of psychological torture - and yet they all retained their inward calm and state of prayer, so that not a small number of their tormentors were softened by these valiant Christian strugglers. "The courage of the prisoners was sustained in a remarkable way by religion. They had kept that wonderful faith which in Tobolsk had been the admiration of their entourage and which had given them such strength, such serenity in suffering. They were already almost entirely detached from this world. The Tsaritsa and Grand Duchesses could often be heard singing religious airs, which affected their guards in spite of themselves. Gradually these guards were humanised by contact with their prisoners. They were astonished at their simplicity, attracted by their gentleness, subdued by their serene dignity, and soon found themselves dominated by those whom they thought they held in their power. The drunken Avdiev found himself disarmed by such greatness of soul; he grew conscious of his own infamy. The early ferocity of these men was succeeded by profound piety." Seldom being allowed to go to church, they nevertheless nourished their souls with home prayers and greatly rejoiced at every opportunity to receive the Divine sacraments. Three days before their martyrdom, in the very house in which they were imprisoned, there took place the last church service of their suffering lives. Thus they prepared themselves, without suspecting it, for their own death - in accepting the funeral viaticum. Contrary to their custom none of the family sang during the service, and upon leaving the house the clergymen expressed the opinion that they 'appeared different' - as if something had happened to them." Shortly after the abdication the Empress said: "Our sufferings are nothing. Look at the sufferings of the Saviour, how He suffered for us. If this is necessary for Russia, we are ready to sacrifice our lives and everything."